Note: This post is Blogging 105, part of the Blogging curriculum at Social Media University, Global. In developing the curriculum for Social Media University, Global I had originally planned to have Blogging 105 be about the pros and cons of WordPress.com and WordPress, with Blogging 106 and 107 providing the same analysis for Blogger and Typepad/Movable Type, respectively. If someone wants to write those posts (106 and 107), I would be glad to have you join the SMUG faculty as a visiting professor. But given limited time (and my increasing satisfaction with WordPress.com and WordPress), I will focus on why this platform is both a great way to get started with blogging, and also why it provides flexibility for growth as you become more serious about it. It’s free, and comes with 3 gigs of storage for photos and documents. No credit card needed to get going. No 14-day free trial. You can start now in about 30 seconds, and could quite possibly blog long-term without spending a penny. It’s Open Source, so lots of unpaid programmers are adding cool features really rapidly. You can embed YouTube or Google videos (and some other types), as well as Slideshare.net slide shows. Bandwidth is unlimited and free. If you can upload it to WordPress.com, your blog visitors can download it. It doesn’t matter how many of them visit. You can create workflows for an editorial process. You have a hierarchy that runs from Contributor (can write posts but can’t publish) to Author (can publish and edit own posts) to Editor (can edit anyone’s posts) to Administrator (can do all of the above plus add or delete users and change blog design.) So if you want people to be able to write posts but want a quality check before they go live, you can have that process built into your publishing tool. Upgrade costs are minimal. 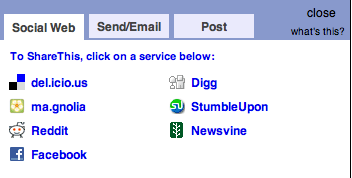 For $15 a year you can customize the look and feel of your blog, as we did here and here and here. For $10 a year you can map your blog to another domain or subdomain (see the same examples, as well as the domain name you see in your browser right now), although it may cost you another $10 to register a domain name (like social-media-university-global.org). I already mentioned the $20 a year fee for 5 gigs of extra storage, and for $30 you can have an unlimited number of private users. Add it all up and you’d have a hard time finding a way to spend over $100 a year on a fully featured WordPress.com blog. A comparably equipped TypePad blog would be at least $300 a year, and more likely $900. If your blog becomes wildly successful and you want to start offering Google Adwords or Flash-based applications, you can transfer your blog from wordpress.com to a server you control (and that you can rent for maybe $10 a month.) Just update your server’s IP address with your registrar, and you can make the move without losing any links. As I said earlier, I would welcome as a visiting professor anyone who would want to explore the pros and cons of either Blogger or Typepad in a guest post. Or if you have experiences with any of these platforms that you would like to share in the comments, please do! Otherwise, what are you waiting for? Get started with WordPress.com now. WordPress is by far the most user friendly free blog platform. I have been using WordPress.com, Blogger, and TypePad since November 2009 and posting the same content on them all. I’m using all three platforms as a sort of test for myself. Each platform has its pros and cons but which is actually the most SEO friendly? Which will bring in the most readers? So far, the answer is WordPress.com. There I am rating approximately 100 visits a month, and I have about a dozen followers via my RSS feedburner application. Blogger has maybe a dozen visitors a month as does TypePad. I used WordPress for both of my blogs, absolutely no complaints.